In an industry notorious for transience, flux and experimentation, it's counterintuitive to consider that the fashion system is stuck in a rut when it comes to materials and real sustainability. In an industry notorious for transience, flux and experimentation, it's counterintuitive to consider that the fashion system is stuck in a rut when it comes to materials and real sustainability. Year after year, season after season, there's this feeling of velocity, of working towards something better. Sure, there are a million ways a shirt can look, but if the way that shirt is made never changes, are things actually changing - or is it simply an illusion of progress? Designers, press and editors alike continue to rationalize what happens to animals caught up in the fashion industrial complex as a necessary evil in achieving the highest quality, performance and most luxurious fibers, as if mother nature herself were meticulously positioning a leopard's spots or softening a goose's down for the sole purpose of human use. And more often than not, the more rare an animal or cruel a process - from fetal lamb (also known as astrakhan or karakul) and calfskin to angora and fur, the more heightened the perceived payoff will be. This is a strange psychological equation to say the least, but one that rules in the realm of luxury fashion. While animal agriculture is the single most environmentally problematic aspect of the fashion industrial complex, the need to actually breed, farm, trap, confine and kill animals in order to attain their fibers will soon be obsolete thanks to a burgeoning sector of biofabrication startup businesses. Leather without cows? Shearling without sheep, silk without spiders and furs without foxes? At first glance, something sounds wrong about this. The word "unnatural" gets thrown around when criticizing the cellular farming, synthesizing or culturing of animal materials. We think of frightening laboratories, test tubes, and scientists crouched over bubbling chemicals who are 'playing god' or at least Dr. Frankenstein! Our food and clothing should be coming from those bucolic images we see in ads of the quintessential farm with a red barn and two or three happy sheep lazing in a field, right? We cling to the marketed myths of where animal products come from because the images of factory farms, fur farms, leather tanneries or commercial shearing operations are not likely to stir up nostalgia, legacy and heritage. Outrage would be a more accurate reaction, which is why the reality of these industries are kept hidden - and now with AgGag laws, its illegal in many states to even document what's happening inside these operations. 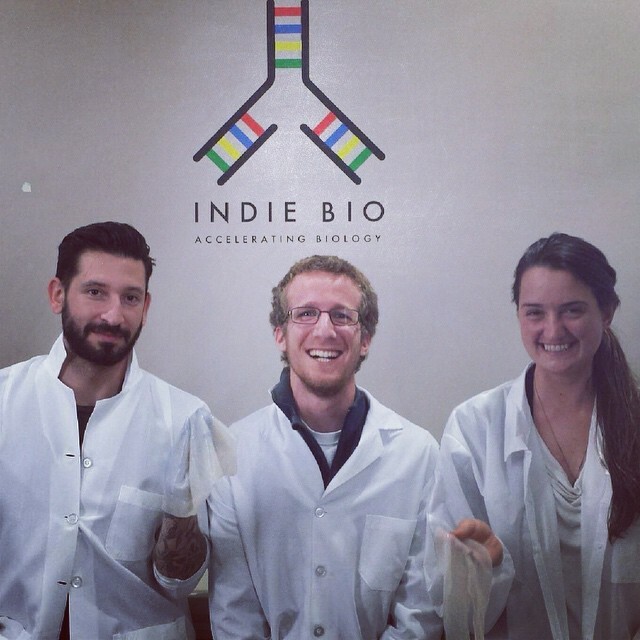 Image: Joshua Katcher at IndieBio with the BioLoom team, holding cellulose used in production. Enter Bolt Threads, BioLoom, Modern Meadow, Biocouture, Pembient, and BioFur. They are among the existing and emerging synthethic biology companies who are redefining agriculture, textile manufacturing and the fashion industry in general through innovation on a systems level. 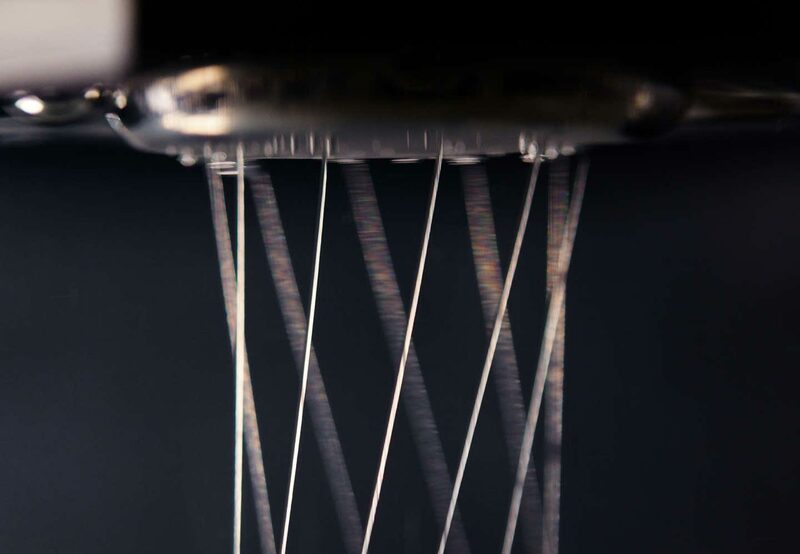 Bolt Threads has already developed an exact replica of spider silk without spiders, as Bloomberg recently reported. Modern Meadow is developing lab-grown leather and designer Ingvar Helgason is developling BioFur, which is lab-grown pelts. Pembient has grown Rhino Horn in the lab, and will soon take on elephant ivory, while Biocouture developed a leather-like cellulose and now is a biofabrication and design-application consultancy and BioLoom has made lab-grown cotton. The exciting thing about these companies is that this is just the beginning. This is a field of development and production that will be endlessly customizable, increasingly high-performance and efficient, and inherently more sustainable and less cruel than raising animals to kill them. It seems that if you have an idea for creating sustainable animal products without actual animals, you'll be in luck because a huge trend in the field of synthetic biology is taking the greatest causes of the worst environmental problems, like animal agriculture, and finding visionary solutions. IndieBio, the San Francisco-based synthetic biology accelerator, recently announced that it's offering $250,000 in seed funding for people with ideas for these types of startups. It's also happening with food. New Harvest, a nonprofit that describes itself as "advancing technologies to feed a growing global population", has helped launch companies like Clara Foods. Clara foods makes real eggs without hens. New Harvest also led Muufri, a company engineering yeast to produce cows milk without cows, to a similar accelerator. Modern Meadow, in addition to leather, has developed cultured meat. The there's Soylent and Impossible Foods, among others. The Biofabricate conference, heading into its second year, is a fantastic way to place your finger on the pulse of this movement. We are on the brink of an industrial revolution and cellular agriculture is at the center of it. Companies like Ouro Botics are figuring out ways to take these developments into our homes and places of work by combining 3D printing technology with Bioprinting, so we'll soon be able to print three-dimensional objects with organic and biological materials. Electroloom is mastering the technology of spray-on clothing, so clothing could be made of healthy, organic substances that are recyclable or biodegradable and always fit. We have only scratched the surface of what is possible. This is why the fashion community must stop kowtowing to the most sluggish and démodé symbols of luxury: fur, leather and wool that are still grown on an animals' back.